Thank you! Your blog post will be advertised on the DigiFree Digital Scrapbooking Freebie search engine today (look for timestamp: 25 Oct [LA 08:42pm, NY 10:42pm] - 26 Oct [UK 03:42am, OZ 02:42pm] ). 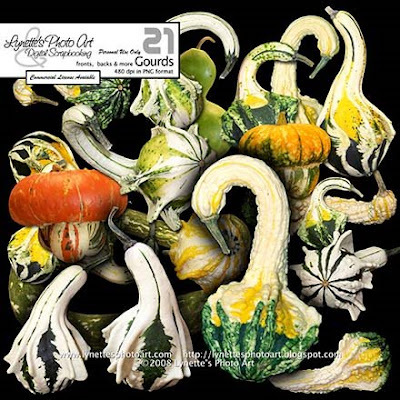 First of all, thank you for the your high-quality "gourd art." Second, and most importantly, thank you for sharing your very well-presented beliefs and concerns about the upcoming presidential election. I, too, have grave concern about the direciton our country is going, and you've pretty much summed up all of those concerns. My hope is that at the very least those people who are undecided in this election will do more research after reading your blog. Thank you again!